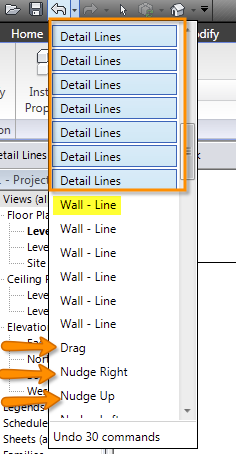 Adding sweeps to a wall definition or even hosting it to a wall already in place make sweeps a very efficient way to add a lot of pizzaz to your projects. If you like add those small touches to your projects, then this little tip should be a favorite with you. There are a few more small little steps you can perform to finish up those little devils that make your project what you want it to be. There are very few steps necessary here, but the end results are numerous. We will begin with our hosted sweep. In our Modify Sweeps Ribbon, there is the all important Modify Returns tool. 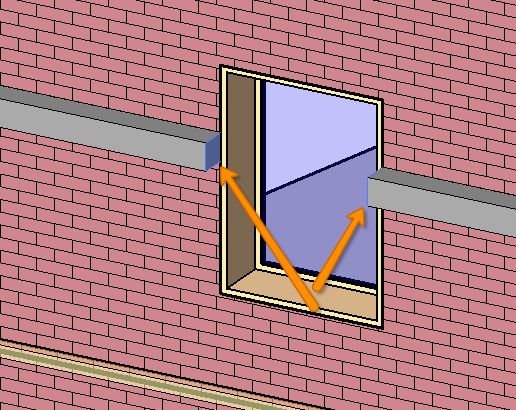 Selecting this will highlight the ends of your Selected sweep as shown in the first image. Before we go all clickity -clack like we normally do when we find something fun and new, let’s look in the options bar. Here we can set the angle of our return. If you are creating a return you want to have Return selected. Your cursor should turn in to a knife looking icon and selecting one of the highlighted ends of your sweep will return the sweep. This will also work with openings in your sweep. Once you create the return, you now have 2 grips to control your sweep. You may only see one, this can be remedied by either zooming waaaaaaay in or simply dragging the one you can see away from where it is. 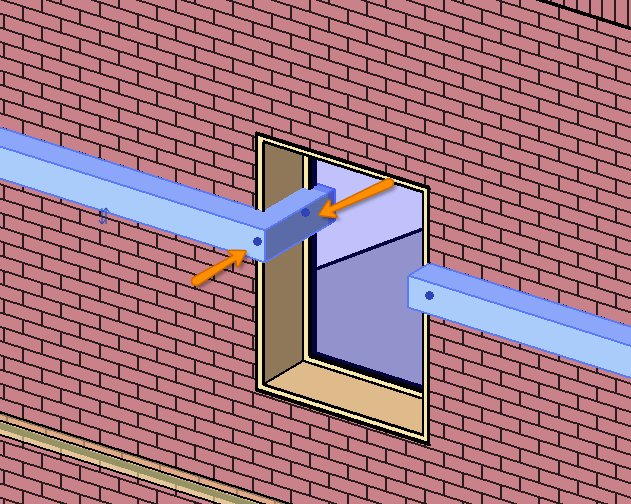 This is a great way to turn sweeps in to openings or wrap into door niches. 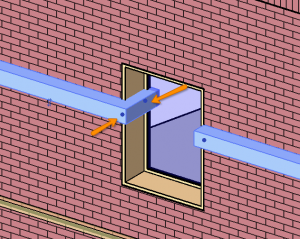 This same method works on sweeps and reveals that are built in to wall assemblies, with only a small exception of how to get there. 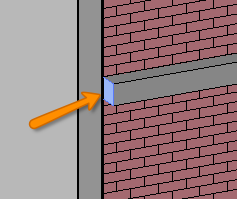 Instead of selecting the sweep, you select the wall. Now in the Modify Wall Ribbon, you have an additional option since you have sweeps built in… that’s right, Modify Returns! If you want to return a Sweep Return to a straight cut, you simply use the same tool. Just select the Straight Cut option instead of Return. Feeling Special? Try experimenting with your cut angle. Well, thanks again for stopping by for another Revit TotD! Hope you learned something or remembered how to do something you forgot how to do. Feel free to browse around and leave comments! Before I continue, I forgot to mention in the video that this model was provided by my friend Gerry Hogsed; an architecture student NOW at University of Tennessee (GRATS GERRY!). Thanks for the model, glad you did well on your review! What the frick is MMB and what’s it got to do with this? Middle Mouse Button. On a generic mouse the middle mouse button, when pressed, will put the navigation controls of your project at your MMB finger. Pressing the Middle Mouse Button (MMB) will allow you to pan the canvas. Scroll Down with the MMB and you will zoom out of your canvas. So there’s another week of TotDs. I hope you learned something helpful. 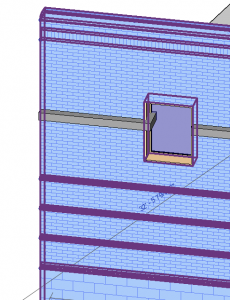 Please comment or leave feedback and I hope to see you again for yet another, Revit TotD! So, you made a woozy on your central (and local) workset file. 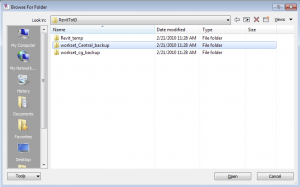 You were OK, until you found that there are no magic backup number files in the folder with your .rvt file like there were with your non workset files. Now your heart has sunk, and well, lets face it: you probably aren’t here for my intros. So let’s get right to it. 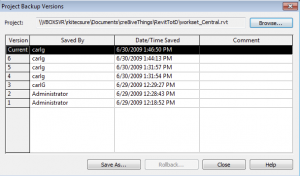 So there’s a few steps to be had here, but all in all it’s a relatively simple task to recover your central file work. With no projects open (personal preference), head to the Collaborate tab on your Ribbon and find the Restore Backup tool below Show History. This will launch a dialogue that can be a little confusing. You’re not looking for a file, but instead the backup folder. It should be located in the same location as your central file, and be titled something like youProjectFileName_backup. Select that folder and click open… almost there! Now you have something similar to the Show History Dialogue, except here you can select which step of your project you want to restore!.. COMPLETE WITH DATE AND TIMESTAMPS!!! This screen in itself should be good enough reason for you to A) Save every hour and B)Leave comments when you save to central ;). Before we get all excited let’s take a look at a what these options give us. 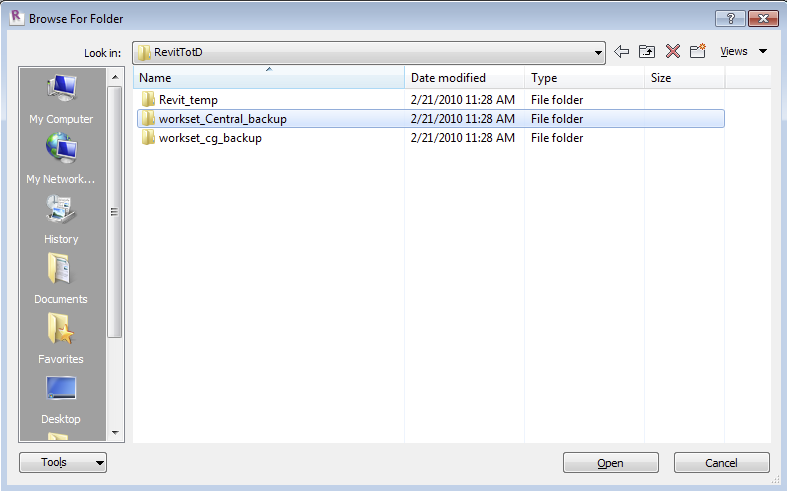 This saves the recovery file over the existing central file. I can not fathom a single reason why you would rather use this over Save As… please tell me if you think of one. Choose the one that best suits you and follow the remainder of the dialogues. You’ll be back up in no time! 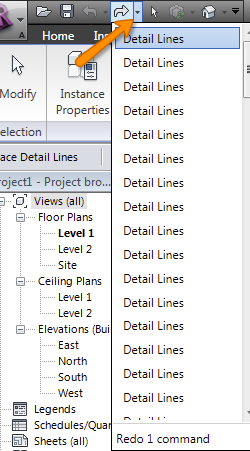 Personally I’ve only had to visit this dialogue once since I started using Revit. If you’ve found yourself in need of this, I hope it has helped you recover your project and that you too never have to visit this dialogue again. As always, thanks for stopping by. 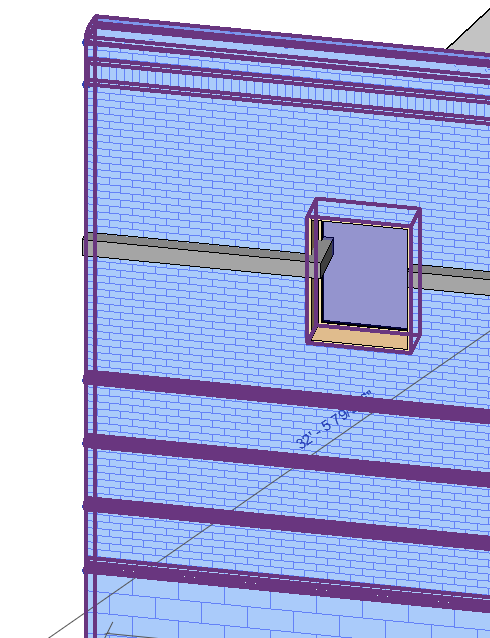 Feel free to comment and I hope to see you again for another Revit TotD! With that out of the way, let’s begin the race to catch up! I’m going to finish today up with something that has saved me gobs of time while detailing. 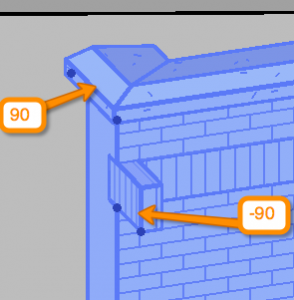 If you’re familiar with tools such as the lineworks and Pick-a-Line detailing lines, you’ll know that if you make a mistake, Ctrl+Z isn’t really an option. Let’s look at this time saving tip! So it’s really simple. If you look at the Undo button in your QAT (Quick Access Toolbar) you’ll notice there is a drop down arrow. Click that to access a list of up to 100 of your latest commands performed in the project. You can use this list to back track and sometimes easily spot that obvious mistake (think “accidentally” moved that wall around.. oops!). Select the command you want to rewind to, and click it. BAM! You’re back where you meant to start! !BONUS TIP! Note that your redo button does the same thing! Well, thanks again for stopping by. It’s been my pleasure and hopefully you’ve come away with something new! 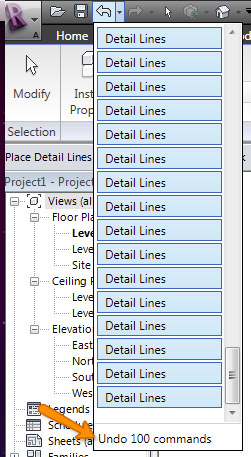 I look forward to seeing you here again for yet another, Revit TotD!